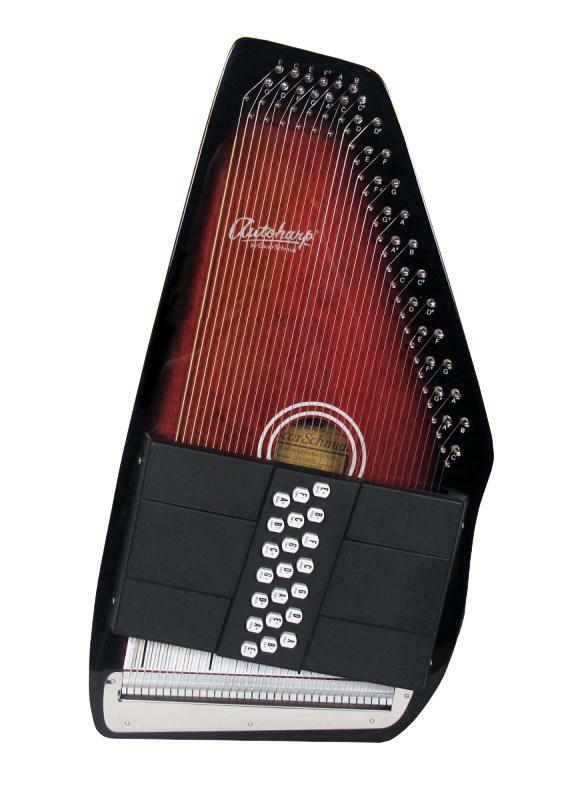 This 21-chord OS21CE autoharp plays in eleven different keys. The patented chord bar configuration makes it easy to learn and to continue to play for years to come. This is one of our most popular models. Click to Enlarge Comes with tuning wrench and assortment of picks, valued over $10, FREE!! This 'harp was designed with the player in mind. The Sunburst satin finish gives the OS21CE a very attractive look with a classic touch. The body is made with select maple wood, designed for strength and optimal support. It is a very light-colored hardwood with a very even grain texture.